New Hope for Children Orphanage: Meet Aarasan... now "one of the happiest kids in the world"! Meet Aarasan... now "one of the happiest kids in the world"! "My name is G. Aarasan. I am 9 years old and studying in 6th grade. My parent's earnings as daily laborers is hardly sufficient to support the family. I used to get sick often because my parents couldn't feed me very often. I came to New Hope Children's Home through a family friend and now I am one of the happiest kids in the world! I am cared for and loved by everyone here. I am having nutritious food and able to go to school regularly. My ambition is to become a pastor. I am in need of a sponsor." 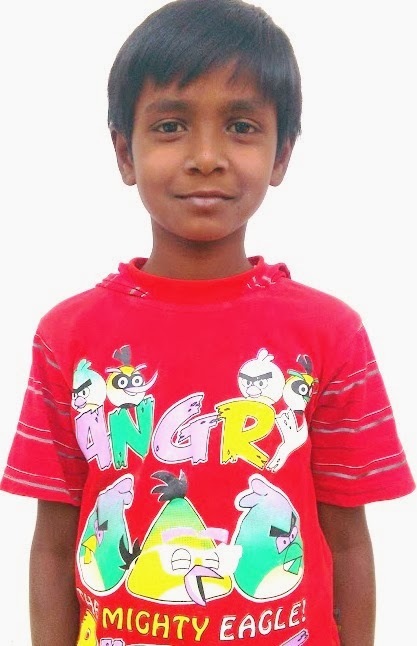 CLICK HERE TO SPONSOR AARASAN!